Hydrogel masks deliver the equivalent of one 30ml bottle of concentrated detox serum to your skin in just 15 minutes. Skin feels purified, soft and complexion looks healthy. Aqua, Dipropylene Glycol, Propanediol, Butyrospermum Parkii Butter, Chondrus Crispus Extract, Moringa Oleifera Seed Extract , Tocopherol, Plukenetia Volubilis Seed Oil, PEG-60 Hydrogenated Castor Oil, Sucrose Cocoate, Glycerin, Ceratonia Siliqua Gum, Potassium Chloride, Xanthan Gum, Disodium EDTA, Trisodium EDTA, Citric Acid, Disodium Phosphate, Chlorphenesin, Phenoxyethanol, Parfum, Linalool, Hexyl Cinnamal, CI 42090, CI 19140. What a difference it made to my face. After trying the face mask it made my skin nice a smooth however it was already detached from the backing which made it difficult to begin with. I think the packaging needs a bit of a rethink but overall the product is amazing. I definitely would recommend to anyone who wants to feel refreshed. 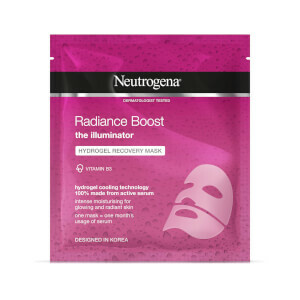 I absolutely LOVE facemasks so was super excited to try out the Neutrogena Purifying Boost Hydrogel Recovery mask! I was however disappointed as soon as I opened the packet - the backing had already come off and the whole pack was just wet and slippery. I had to work out which side was supposed to go into my face and the eyes and mouth cut outs were left attached which meant it didn't really sit of my face properly. Once I got it on as best I could though it smelt lovely and I could feel it working it's magic straight away. Although a little too wet in places most of it stuck to my face nicely. When taking it off I definitely noticed a difference, my face felt smoother and fresher, I wished I had kept it on a bit longer! I think the packaging needs a bit of work to make the process a bit easier but the product in itself is lovely and I would definitely use it again and recommend to anyone looking for a face mask which actually works. Upon opening the face mask I could see that the mask had detached from the backing, and very wet. I slid it out and untangled it which I found unpleasant as I am not very good with slimy textures! In doubt about whether I really wanted this on my face I had to give it a chance to complete my review. Urgh...again unpleasant, although it did smell nice. As the minutes went by, the mask slid down further and further, especially under the mouth area as the weight of the flap drags it downwards. I gave it the minimum 15 minutes as I could bear it no longer. I massaged the remaining product in which absorbed quite quickly, and I was left with smooth, fresh feeling skin. So the goal was achieved but I will not be repeating the process. The mask is great! It is easy to use and clean. It has nice smell amd texture. I would strongly recommend it to people who are looking for good recovery mask. 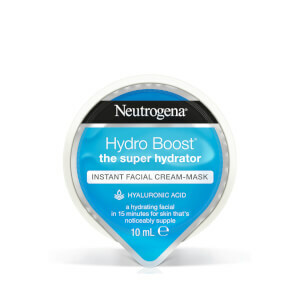 I've been having a hard time of it as of late so I thought I would give the Neutrogena hydrogel recovery mask a try. Little one was in bed and my other half was out watching the footie. Took my chance to spend some 'me' time and spoil myself. I got myself comfortable on the sofa with a hot chocolate, a rather large bar of chocolate and the hydrogel recovery mask. I read the instructions and proceeded to open the package, as I pulled the mask out to remove the white film backing I found that it slipped off very easily and I didn't need to do anything to remove it. The mask comes in 2 parts, I placed the 1st part on to the top half of my face and was pleasantly surprised how good it felt, as it was very wet I thought it would slip off whilst I was removing the lower part from the pack but it stayed firmly in place. Once I'd removed and placed the 2nd part on my lower face I sat back and relaxed for the next 30 mins. The mask also has flaps for the eyes and mouth so you can pull those over if you would like, I was watching some adult tv (instead of children's programmes for once) and munching my way through the chocolate so didn't try the flaps. The mask felt very cool and was comfortable to wear, it didn't slip once and I was sat upright the whole time (munching chocolate too). The smell was pleasant and not overpowering, there were no drips of liquid despite how wet the mask felt. Once the 30 mins was up I removed the mask and massaged the remaining liquid in to my face and neck, my skin felt and looked so soft, energised, deeply moisturised and refreshed. There was no redness or skin tightening / tingling that you can get from other masks. This is one mask that I can highly recommend and will certainly purchase in future. I have just tried this Purifying Boost Hydrogel Recovery Mask and I absolutely love it! It's quite cold at first but then feels very relaxing and soothing on the skin. Surprisingly the mask didn't irritate my skin as most other face masks do due to having sensitive skin, which is great. After using the mask my face felt soft and hydrated which is exactly what I wanted! It doesn't exactly make you look the best whilst wearing it though, so you can use it before going to bed. I'm definitely going to be picking up some more of these face masks in the near future. 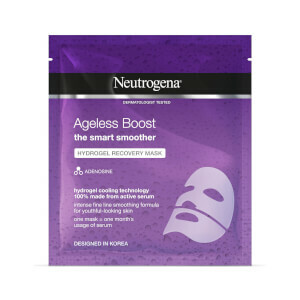 I recently tried Neutrogena Purifying Boost Hydrogel Recovery Mask and I liked it. It was a bit cold and slimey to put on but once you get use to that it does really work. My skin looked and felt better. And I would definitely use it again. So cool and refreshing, not to mention having 15 to myself was a luxury! 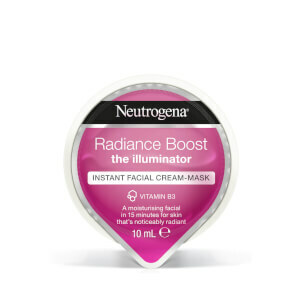 Thanks Neutrogena for making me feel half human again!! Really love product, left my skin feeling soft and amazing, and would go as far as saying this is the best sheet mask I've used so far! There is a lot of product on it which meant it literally slipped out of the package once opened so be careful and the productive layer slipped off too as the mask was so wet. Give it a try, I don't think you will be disappointed!